This article was originally posted on LiDAR News and features a mobile surveying project done by HNTB and SSI on Amtrak’s New York Penn Station. This project is one of the first extended mobile LiDAR projects completed underground. Amtrak’s New York Penn Station (NYPS) mobile surveying project was one of the first extended mobile LiDAR projects completed underground. 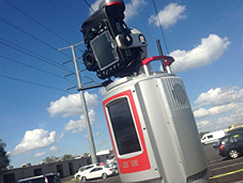 Mobile LiDAR technology was requested to provide a seamless 3D survey data set across the station’s rail infrastructure systems and to locate all visible ancillary features throughout the underground facility where GPS data isn’t available and do so without disrupting passenger train service. 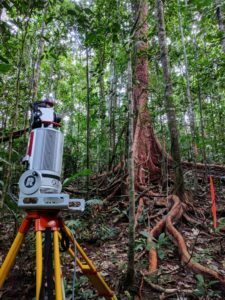 Dr. Kim Calders and his team have just completed 2 months of field work in Australian tropical forests collecting both terrestrial and UAS lidar data to support a novel LiDAR data fusion methodology. Forest ecosystems contain more biomass than any other ecosystem. However, estimating biomass without cutting down trees is difficult. Traditional methods of estimating aboveground biomass (ABG) are based on correlations between destructive estimates of volume and diameter and/or height, which can be measured more easily in the field. 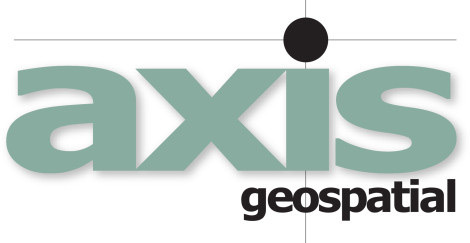 Editor Note: This article features one of our customers, Surveying and Mapping, LLC (SAM, LLC) and how technology has helped them become the largest geospatial service company in the United States. They utilize RIEGL airborne and unmanned LiDAR sensors and systems as a part of their technology toolbox. Dowe Gallagher Airborne Data Group (DGADG) recently added a new Textron Cessna Caravan EX to its expanding LiDAR (Topographic and Bathymetric) aerial survey offerings. The Caravan EX platform, equipped with the G1000 avionics package, brings added safety, dispatch reliability and fuel efficiency and is powered by the newest generation Pratt & Whitney PT-6A-140 867HP turboprop engine. 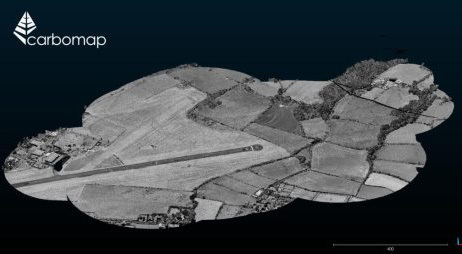 Analysis of LiDAR and aerial photography, conducted by Historic England for the Secrets of the High Woods Project and commissioned from Fugro BV, has led to the rediscovery of a long-speculated route from Roman times between Chichester and Arundel in England. Jamie Young, Director- Data/LiDAR Services with PrecisionHawk, wrote an article for LiDAR Magazine on the evolution of RIEGL sensors and systems and how PrecisionHawk is utilizing the RIEGL miniVUX-1UAV miniaturized UAV LiDAR sensor to not only meet but exceed their expectations. Read more below or at the LiDAR Magazine website! Editor Note: The original article appears on the LiDAR News website. 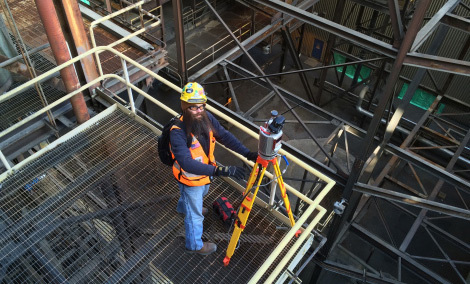 It is a feature on one of our customers, ScanX3D, who utilize a RIEGL VZ-400i terrestrial laser scanner for a multitude of surveying and building documentation jobs. Read more about the company and the projects they are working on below or at the LiDAR News website! To many people, selecting a name for their new business can be one of the most important decisions they can make. Company names are a key part of branding, which makes you wonder about some of the big names like Uber, Airbnb and Google; versus Autodesk, Intel and Facebook, for instance. The latter, by the way, was the nickname for the “Photo Address Book” which all students at Phillips Exeter, a prep school in Exeter, NH received when they arrived at school, as did Mark Zuckerberg who spent two years there before moving onto Harvard and well, I think you know the rest of the story. It certainly seems that ScanX3D also chose an appropriate company name as they are quickly becoming a highly respected player in the 3D laser scanning marketplace. Based in Cromwell, Connecticut, the company has 18 employees who are focused on solving a wide range of customer problems that all have one thing in common: applying LiDAR technology to provide an efficient solution. Dewberry, a privately held professional services firm, has been selected by the U.S. Geological Survey (USGS) to collect and process Quality level 1 topographic LiDAR data of Puerto Rico and the U.S. Virgin Islands to identify the impact of Category 5 Hurricane Maria, which struck the territories in September 2017. The firm’s subconsultant, Leading Edge Geomatics, will be performing the LiDAR data acquisition using two RIEGL VQ-1560i dual channel waveform processing airborne LiDAR mapping systems. Dewberry will perform all ground surveys and its geospatial team will complete the processing and creation of digital elevation models and other ancillary products. RIEGL is pleased to announce that GPI Geospatial, Inc. has purchased the VQ-1560i ultra high performance airborne LiDAR system! 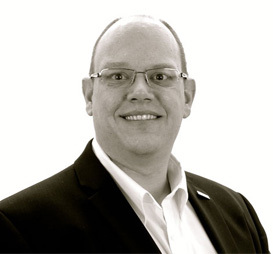 Russ Faux is currently Sr. Vice President for Growth Initiatives at Quantum Spatial, Inc. He has spent most of his 30-year career working with some form of airborne remote sensing and geospatial technologies. In 1998, he founded a small remote sensing company named Watershed Sciences, Inc. (WSI) that focused on water resource applications using thermal infrared imagery and newly emerging digital cameras. 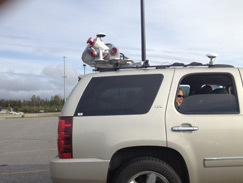 Editor Note: One of our customers, Surveying Solutions, Inc., is currently being featured on LiDAR News. Check out the post below or at the LiDAR News website to learn more about SSI and the fantastic projects they're doing with RIEGL LiDAR! 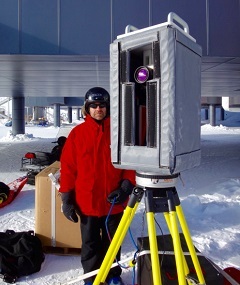 Andrew Semenchuk was an early adopter of laser scanning technology. As a professional surveyor, licensed in multiple states, he has over twenty years of experience in the transportation industry. Andy served for 15 years in state government and held the position of Automation Specialist where he was responsible for developing and successfully operating the first statewide CORS network and the purchase of the Michigan DOT's first terrestrial LiDAR unit in 2000. Andy served as the Supervising Surveyor for the Michigan DOT until he decided to further his career on the private sector side, later joining forces with Surveying Solutions, Inc (SSI). SSI was founded in 2001 and now has four offices in Michigan. SSI provides a variety of geospatial services and technology to solve their client's problems nationwide. ESP Associates, P.A. took delivery of their RIEGL VMX-1HA high speed, high performance dual scanner mobile mapping system and immediately put it to work! ESP took their scanner up to Baton Rouge, Louisiana to work on the LaDOTD 1-10 widening project with NTB Associates. Utilizing the VMX-1HA hardware and RIEGL software suite to scan and survey the roads allows the state of Louisiana to save money by reducing the number of crews needed, reduces the need for road closures as the crew can scan while driving at highway speeds, and increases safety for both the surveying crews, as well as the drivers on the road. "The functionality and ability to see the data collected in RiACQUIRE makes managing the data capture of a large-scale project such as this one in Baton Rouge very easy. My team was able to assess the project's needs, see our coverage and review the records to ensure the completeness of the collection mission. 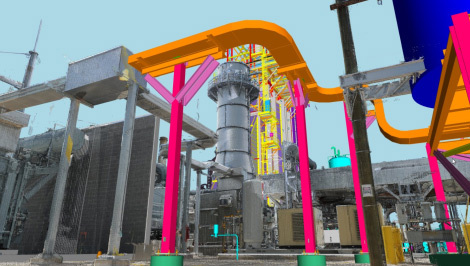 The new automated target detection functions in RiPROCESS ensures that tie objects are accurately placed, making point cloud registration much more streamlined." said Ryan Swingley, P.S., Geospatial Manager with ESP Associates, P.A. "The field experiment employing the RIEGL VUX sensor system mounted on the RiCOPTER UAS provided a homogeneous, ultra-high-resolution 3D point cloud of a complex alluvial area comprising both topography and vegetation. 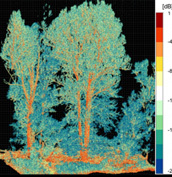 With a point density of more than 1,500 points/m2, a vertical strip-fitting precision of less than 2cm and a comprehensive 3D capturing of the terrain shape and vegetation structure, the experiment demonstrated the high potential of UAS-borne laser scanning for different environmental sciences and applications." This partner spotlight is on Phoenix LiDAR, one of our RIEGL partners who specialize in unique multi-vehicle LiDAR solutions for their clients. We here at RIEGL are proud and honored to work with such a fantastic company and people. We hope that you enjoy this fascinating look into who Phoenix LiDAR is and the work they do! 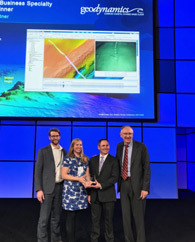 Phoenix LiDAR are pioneers of the UAV LiDAR industry who continue to push research and development to bring customers surveying and mapping solutions that are lighter, more powerful, and easier to use. A RIEGL partner for many years, Phoenix consistently integrates RIEGL sensors into some of its most powerful LiDAR payloads to offer customers a balance of data accuracy, lower weight, and overall budget. 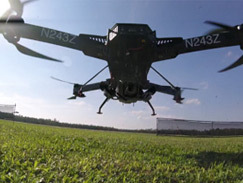 The company came to be in 2012 when CEO Grayson Omans foresaw the convergence of two industries: first, that LiDAR sensors would soon become light enough to fly on unmanned aerial vehicles, also known as UAVs or drones, and second, that UAV prices would soon drop enough that surveying organizations and the like would seek drone LiDAR solutions for their offerings. LiDAR, at that time, was widely used in surveying, but unmanned aerial LiDAR was an untapped opportunity. "LiDAR is an emerging technology for the earth sciences because it produces an incredibly detailed 3-D view of features," said the KU researcher. 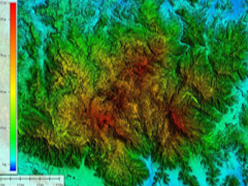 "Repeat LiDAR scanning reveals small-scale changes with very high precision. These systems are now used to measure how bridges are sagging, how tectonic faults propagate and now how glaciers flow. The ATLAS systems are unique because they're designed to scan the glacier terminus every six hours, year-round. That's not a trivial task when there's no sunlight in the winter, winds are high and it's very cold." Dr. Hirota explained, "When you purchase highly technical equipment that is sometimes in the early development phases, you evaluate as many of the current products as possible. A small company like ours cannot afford to make purchase mistakes. You need to have confidence in the quality of design, manufacture, software and maintenance. All RIEGL hardware is designed and assembled to the highest possible quality and reliability standards. The software is designed to be used specifically with the hardware." Dr. Hirota recalls, "On a visit to the RIEGL factory, I saw printed circuit boards being assembled, systems integrated and tested. I knew that these were quality measurement products that would work in the field for a long time." This customer spotlight features American Engineers, Inc., headquartered in Glasgow, Kentucky, and their work with the RIEGL VZ-400 terrestrial laser scanner. We hope that you enjoy this fascinating look into their company and the work they do! RIEGL is pleased to announce that Tulloch Mapping, based in Canada, has become the first company in the world to purchase the RIEGL VMX-2HA high speed, high performance dual scanner mobile mapping system! 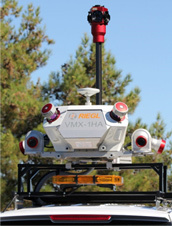 Tulloch Mapping was one of the early adopters of RIEGL's VMX system and technology, purchasing a VMX-250 in 2011. Since that time, the company has deployed the unit on hundreds of projects throughout North America, with outstanding results across the board. It was natural then, for the firm to explore the option of purchasing a next generation VMX system when the time was right. After seeing the VMX-1HA system in action and evaluating results, Tulloch decided a VMX-HA series system would enhance their survey and mapping offering, and decided to proceed with the purchase of a new system in September 2017. 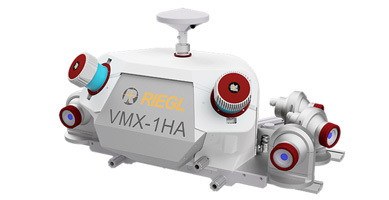 "We are excited to announce our first customer for the RIEGL VMX-2HA only weeks after introduction at INTERGEO. Tulloch has helped grow the mobile mapping market by providing excellent data to their clients. We are thrilled to continue working with such an innovative company like Tulloch." said Joshua France, Mobile Systems Segment Manager of RIEGL USA. One of our customers, Chustz Surveying, has posted a fantastic video on YouTube highlighting a corridor survey of a 3-mile US Army Corps of Engineers levee project. 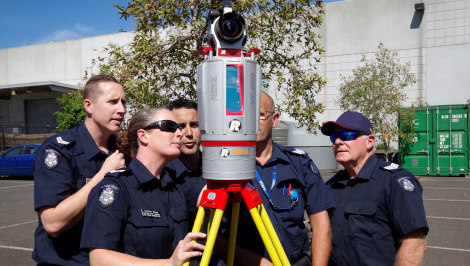 Victoria police benefitted from the extensive experience RIEGL has gathered with numerous police forces around the world, including the Met Police in the UK. These experiences have resulted in a tailored, extremely fast, and easy-to-use field to office workflow that is unmatched in the industry, making the RIEGL VZ-400i the premiere choice for investigators worldwide. Gene Roe from LiDAR News interviewed Jonathan Beaty, Field Inspection Services Manager, from Kiewit Corporation. The RIEGL VUX-SYS is comprised of a VUX-1UAV with an Applanix AP20 integrated with CCLD's DJI M600 Pro. National Survey Solutions (NSS), formerly known as Northern Surveying Services, have been in the surveying and construction industry for over 40 years. Based in Tasmania, Australia, NSS has typically been involved in large civil construction projects across the state. NSS has always invested in state of the art equipment and 3D laser scanners have been no exception. 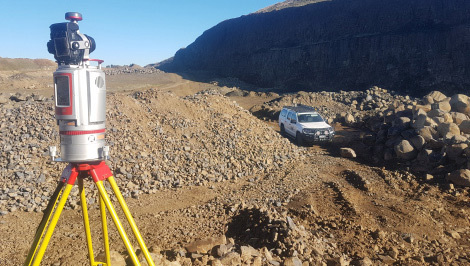 When Rod Brumby, Registered Land Surveyor and 3D Scanning Specialist previously from Sinclair Knight Merz, joined NSS in early 2014, he had seen the benefits of 3D laser scanning and its deliverables for many years. Since then, NSS have been carrying out many 3D scanning projects across Tasmania and the East Coast of Australia. 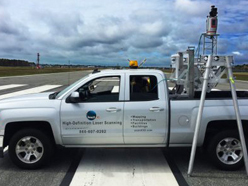 Gene Roe from LiDAR News did a fantastic write-up on SurvTech Solutions and their use of the RIEGL LMS-Q1560 for airborne laser scanning! 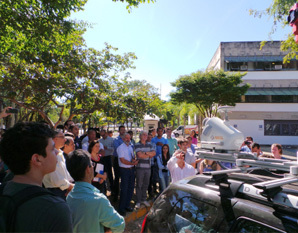 "Since the RIEGL LMS-Q1560 has the capacity to collect full waveform data, we are investing in R&D efforts to take advantage of this capability in order to benefit our clients and provide a more complete three-dimensional description of the point cloud data, specifically within the vegetation canopy" said Carlos Prieto. This customer spotlight focuses on Maser Consulting, P.A. and their use of RIEGL mobile and unmanned LiDAR solutions. Enjoy this customer spotlight! Dr. Mathias (Mat) Disney is a Reader in Remote Sensing in the UCL Department of Geography and member of the Environmental Monitoring and Modelling Group. Dr. Disney has been kind enough to allow us to guest post one of his blogs featuring RIEGL VZ terrestrial laser scan data. You can contact Dr. Disney at his webpage or his Twitter. Visit his blog at http://disneytls.blogspot.com/! Enjoy! Phil and I (and my put-upon son, on his birthday no less) spent a day last week scanning part of the Queen Elizabeth Olympic Park, to characterise the 3D structure of the vegetation in the park. The park is a legacy of the 2012 Olympics, and provides the first new parkland in London in over a century. Extensive landscaping has resulted in "…. over 35km of pathways and cycleways, 6.5km of waterways, over 100 hectares (ha) of land capable of designation as Metropolitan Open Land, 45ha of Biodiversity Action Plan Habitat, 4000 trees, playgrounds and a Park suitable for year-round events and sporting activities." (Legacy Communities SchemeBiodiversity Action Plan 2014-2019, LCS-GLB-S106-APP-BAP-001-V01, 2013). UCL has ambitious plans for expansion into UCL East. As part of this, our colleague Prof. Kate Jones and her team have been doing some amazing work using in situ sensors to map bat populations in the area, in real time. See more details of the project here. 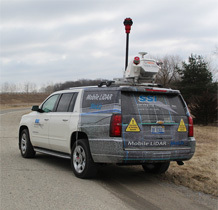 This customer spotlight features SSI and their use of RIEGL mobile LiDAR systems. Enjoy! Choosing to use RIEGL LIDAR was SSI simply responding to their clients' needs. There was a demand for highly accurate datasets to be acquired and delivered faster and more efficiently. Mobile LiDAR accomplished that goal while also providing an array of additional benefits. 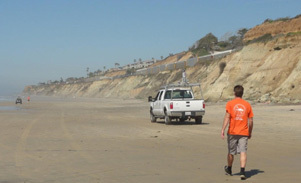 This customer features the Scripps Institution of Oceanography at University of California San Diego and their use of the RIEGL VMZ-2000 hybrid mobile laser mapping system to study coastal erosion. Enjoy! Maser Consulting P.A., a national multidiscipline consulting and engineering design firm is pleased to announce Christopher M. Siebern has joined the team as a Senior Survey Manager with the Geospatial service division. Maser Consulting has been expanding its geospatial survey services, having added a new Unmanned Aerial System (UAS) service and most recently a second RIEGL mobile mapper which adds to the versatility and quantity of the department's workload. These exciting new investments have enabled the firm to stay ahead of the industry curve and continue moving its services forward. "The rapid pace of our firm's growth in geospatial technology has resulted in an increase in LiDAR field teams", explained Leonardo E. Ponzio, Executive Vice President and COO of Maser Consulting. "Chris was hired in a unique capacity to gain efficiencies in the workflow, moving raw field data through the process in the office, and performing analytics to ensure the highest level of accuracy is maintained." Airborne bathymetric Lidar is an ideal tool to study underwater features in the usually rather clear waters along the coast of Australia. Due to the remoteness of many of the continent's coastlines, this is often the only economically viable option for large-scale bathymetric mapping at high resolution. 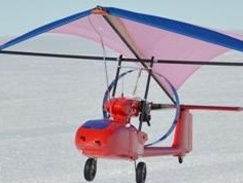 A new toolkit consisting of two airborne Lidar systems flown on a small and slow-flying research motorglider was trialled in NW Western Australia. 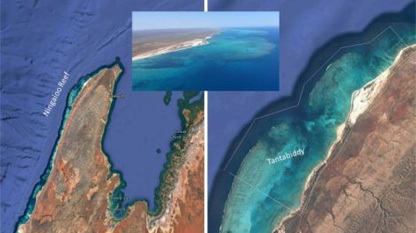 The same technology will be used over the next three years in the context of a comprehensive study of submerged archaeological landscapes of the so-called 'Sea Country', more than 1,000km along the NW Western Australian coast. 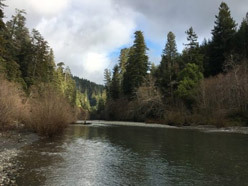 Teaming with experts from LiDAR manufacturer RIEGL, Quantum Spatial, Inc. was recently involved in an exciting new test of RIEGL's newest sUAS technology innovation for hydrographic applications – the RIEGL BathyCopter – on three different stream restoration sites in Oregon. The BathyCopter is a unique, small unmanned aerial system (sUAS) equipped with a green wavelength laser designed for generating depth profiles of inland rivers and lakes. Companion flights were conducted using the popular RIEGL VUX-1 survey grade sensor to collect highly detailed terrestrial data within the immediate riparian zone. This sensor combination allowed our team to create a seamless 3D topographic and bathymetric surface model for each site in amazingly high resolution. The goal was to evaluate the BathyCopter's performance and practicality in providing baseline elevation data to support hydrologic and hydraulic (H&H) modeling, habitat assessments, and other riverine applications. The series of sUAS missions was successfully conducted over three days and included involvement of several Quantum Spatial client stakeholders. This project illustrates QSI's commitment to providing new and innovative solutions for clients in need of detailed mapping of inland waters. Quantum Spatial and RIEGL will present the preliminary results of these missions at the 18th Annual JALBTCX Airborne Coastal Mapping and Charting Technical Workshop in Savannah, GA on June 7, at 3:30pm. Aeroscout, a long term partner of performance leading LiDAR manufacturer RIEGL, is excited to present the Scout B-330 UAV helicopter, which is built with a high payload capacity of up to 50 kg (110 lbs), a very long flight endurance (at least three hours) and the capability of flying at very high altitudes (up to 3,000m above sea level) in a typical mission scenario. This includes a full autonomous take-off sequence, a mission flight at variable speed, and a landing sequence. The beautiful Scout B-330 is specifically designed for LiDAR-based powerline mapping missions. It sets a new benchmark in the long endurance UAV class with its combination of flexibility, world-renowned Swiss quality, and very competitive pricing. Developments in the field of laser scanners and laser scanning systems have increased in the past few years. Physical size has decreased while performance has increased. The number of laser pulses per second has reached a million and the measurement distance is in the hundreds of metres. Data will support district's mission of preserving and protecting water resources for the community in Hillsborough County. Dewberry has been selected to collect, process, and assess airborne topographic lidar data for Hillsborough County, Florida, covering approximately 1,200 square miles within the Southwest Florida Water Management District (SWFWMD). Dewberry performed airborne topographic lidar mapping for this project in early 2017 using the new, fully integrated and calibrated Dual Channel Airborne Mapping System, the RIEGL VQ-1560i sensor. The VQ-1560i's laser pulse repetition rate provides more than 1.3 million measurements per second on the ground and offers data acquisition at a wide range of point densities, making it ideal for aerial surveys of ultra-wide areas and complex urban environments. Terra Drone Corporation has announced the launch of the new 'Terra Powerlifter' unmanned aerial vehicle (UAV) series, continuing its focus of bringing the best of Japanese innovation for the benefit of Australia's agriculture, construction and resource sectors. 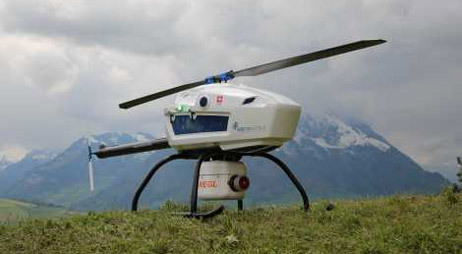 Offering up to two hours' continuous flight time and capable of carrying a heavy payload of up to 10 kilograms (approx 22 pounds), the unique UAV is fully integrated with the world-leading RIEGL LiDAR (light detection and ranging) laser measurement systems for an unsurpassed standard in 3D mapping. 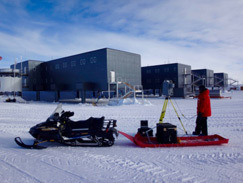 In January, Adam LeWinter and Dave Finnegan, U.S. Army Corps of Engineers of the Cold Regions Research and Engineering Laboratory (CRREL), traveled to the Amundsen-Scott South Pole Station to conduct a terrestrial lidar/thermal infrared survey of the elevated station as part of a National Science Foundation-funded project. They used a Riegl VZ-1000 with integrated InfraTec VarioCAM high-definition thermal camera to capture a three-dimensional thermal map of the building, to assess the building envelope for thermal efficiency. 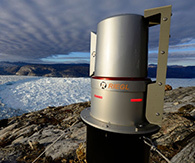 Editor's Note: This customer spotlight features the US Army Corps of Engineers Cold Regions Research and Engineering Laboratory (CRREL) and their creation of a HeliPod system, which utilizes RIEGL airborne scanners to allow for terrain-following surveys in high-relief areas. Enjoy! 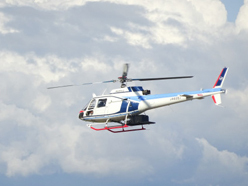 he US Army Corps of Engineers Cold Regions Research and Engineering Laboratory (CRREL), in collaboration with the National Center for Airborne Laser Mapping (NCALM), has developed a helicopter pod-based airborne LiDAR system to allow for terrain-following surveys in high-relief areas. The HeliPod System accepts either a RIEGL VQ-480i or VQ-580 scanner, integrated with an iXBlue ATLANS-C IMU and a NexTrack 2 Flight Management System. 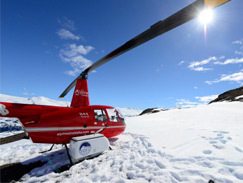 The VZ-4000 was used to measure snow depths in the Senator Beck basin in southwestern Colorado, collecting data in areas that are unsafe to sample directly due to avalanche hazard. 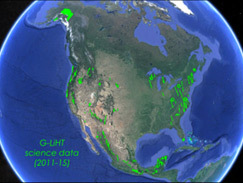 Two other teams collected TLS data at Grand Mesa, Colorado. That's why a team of NASA researchers gathered in August at Craters of the Moon National Monument in Idaho: The intrepid explorers created the first complete three-dimensional scan of Indian Tunnel, one of the largest and most accessible lava tubes at the monument. The VZ-1000 at the South Pole! It's a device that's revolutionizing how local law enforcement investigate crash scenes, and Florida Highway Patrol is only the second state agency in the entire country to use it. 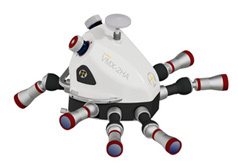 The RIEGL VMX-1HA is a high speed, high performance dual scanner mobile mapping system. It provides industry-leading performance and dense, accurate, and feature-rich data at highway speeds. In 2014, two Colorado avalanche control workers were whisked to the hospital after an avalauncher accident near the Continental Divide. They had been using the avalauncher, a compressed gas cannon, to shoot small charges into snowy slopes that posed a serious avalanche risk to motorists below. If you have been searching for a 3D laser scanning system that would justify the required six figure investment, then this article is for you. 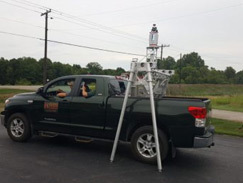 With over 35 years of experience serving the oil and gas industry in eastern Ohio, David Bodo and Associates, Inc. has built a strong reputation as a traditional, full service 16 – person surveying firm. 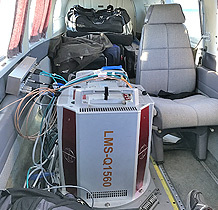 These articles have been provided to us here at RIEGL by NASA Goddard, who are currently utilizing the VQ-480 in their G-LiHT (Goddard's LiDAR, Hyperspectral, and Thermal) airborne imager. Please note that "references to any specific commercial products, processes or services or the use of any trade, firm or corporation name are for the information and convenience of the reader and do not constitute endorsement, recommendation or favoring by the US government or National Aeronautics and Space Administration". Original article written by Francis Miller III, PE, director of rail engineering services. 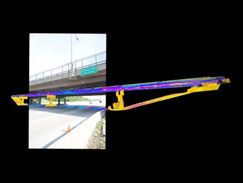 Maser Consulting, a forerunner in the industry using Mobile Light Detection and Ranging (Mobile LiDAR), employs the use of Mobile LiDAR, 3D hi-definition laser scanners and other methods to assist in the implementation of PTC. A PTC system must be able to reliably determine the precise location, direction and speed of trains; warn operators of potential issues; and automatically take immediate action to safely stop a train if an operator does not or cannot respond to the warning provided by the system. Leading Edge Geomatics is a New Brunswick based company that provides aerial survey and geomatics services across North America. To date, they have flown over 100,000 km² of LiDAR data acquisition, and more than 90,000 km² of aerial photography. Utilizing a fleet of five aircraft and seven digital sensors, including the RIEGL LMS-Q680i, LMS-Q780, and VP-1 airborne systems, Leading Edge offers customized solutions to clients across a number of industries including forestry. In Airborne, Airborne LiDAR, Airborne LiDAR Suite, Airborne Mapping, ALS, LIDAR, LiDAR News, Mapping, Mining, RIEGL, Riegl Current Events, RIEGL Customers, RIEGL Hardware, Riegl Software, RIEGL USA, Tuck Mapping, Uncategorized. One of the pioneers in the airborne LiDAR industry is Robert, "Bobby" Tuck. 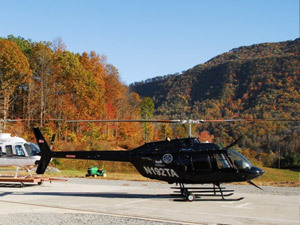 His firm Tuck Mapping Solutions, Inc. is a leader in the use of helicopters and fixed wing aircraft to collect highly accurate LiDAR data for a number of industries. Kapur has been growing steadily over the past couple of years performing heavy construction layout, road topos, DOT work, site survey and energy – related projects, not just in the Midwest, but all over the country. In addition, they have become known for their 3D laser scanning capability. Here's some insight in how they were able to accomplish that. 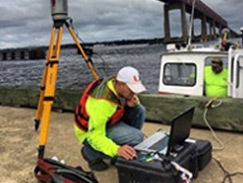 Back in the late 1980's John F. Sawyer saw the need for a surveying services company that could provide accurate hydrographic surveying and quantity calculations. Mr. Sawyer had a background in dredging and in 1989 Arc Surveying and Mapping (Arc) was born. The company is family – owned and operated with three brothers running the day – to – day operations. RME Geomatics Purchases and Takes Delivery of Two RIEGL VUX-1's in Two Months! RIEGL USA is excited to announce that RME Geomatics purchased and took delivery of two RIEGL VUX-1 UAS laser scanners in two months! The addition of the second VUX-1 to RME Geomatics will allow the company to aggressively expand their capacity through the installation of a permanent crew in Calgary. This crew will consolidate and expand the West Coast Canadian operations of RME Geomatics. RME Geomatics is a subsidized division of a large publically traded company, Rocky Mountain Equipment, and with the influx of projects the company is receiving, the need for the highest quality and best capability is constantly growing. RME's Renegade™, combined with the RIEGL VUX-1, will allow the company to continue to expand operations while providing the highest quality services to their customers. RIEGL USA is proud to announce that NASA's Jet Propulsion Laboratory (JPL) has recently deployed their RIEGL LMS-Q1560 airborne laser scanner system! 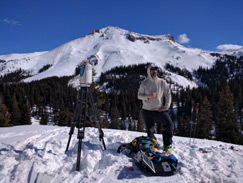 NASA JPL is utilizing their RIEGL LMS-Q1560 to more completely and accurately measure snowpack depth of major mountain watersheds. This will be accomplished through the use of innovative airborne LiDAR from RIEGL. NASA JPL's use of the RIEGL LMS-Q1560 will allow them to better gauge the volume of water that travels down rivers and streams as runoff from snowpack. The data is then made accessible to state officials, water districts, power plant managers, and farmers to alert them to the possibility of flooding and water allocation. 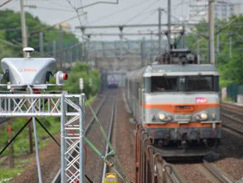 SNCF, the national French railway society, has taken delivery of a RIEGL VMX-450-RAIL intended for the sole purpose of railway mapping. The complete scanning platform is either installed onto a mounting rack in the rear of a wagon or right into the engine cart. he main tasks of railway mapping include geo-referencing of railway infrastructure, clearance monitoring in order to detect natural obstacles like vegetation, or determine infrastructural limits for special load transportation. Other applications of railway scanning include track and base terrain inspection, as well as supervision and registration of changes in train station structures, such as thresholds between platform and wagon due to renovation works in train stations. All these different tasks serve the enhancement of railway safety. 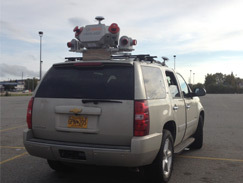 This is a Reigl VMX-450 Mobile LiDAR being used for DOT work in Alaska. 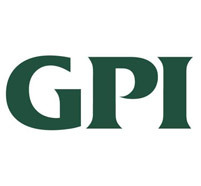 Aerial Cartographics of America, Inc. (ACA) of Orlando, FL in conjunction with its parent company, Greenman-Pedersen, Inc. (GPI), announced today the purchase of a RIEGL VMX 450 Mobile Laser Scanning System. 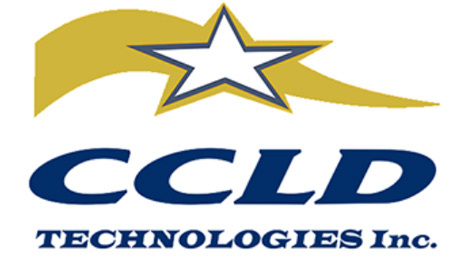 ACA now offers our clients the latest in high accuracy mapping technology, Mobile LiDAR Data Collection, with this system we can capture high-accuracy, high-density range and intensity data as well as digital imagery simultaneously at highway speeds for transportation projects and within navigable waterways and railroad corridors. The RIEGL VMX scanning system is self-contained and designed to easily transfer between multiple working platforms. These include trucks or SUV's for transportation project; boats and barges for scanning and mapping structures, bridges, piers, shorelines and coastlines; and high-rail vehicles for precision scanning within railroad corridors. 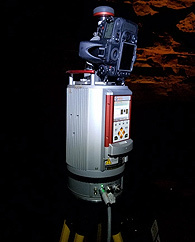 The system's dual laser scanners send over a million pulses per second and collect 2000-5000 points per square meter, resulting in an extremely dense 3-D point cloud data base providing accurate and detailed as-found conditions of structures and topographic features. A new suite of commercial small-footprint, green-wavelength airborne LiDAR systems are being developed to enable topobathymetric mapping in coastal and riverine environments. These sensors can provide seamless topography across the land-water interface at very high spatial resolution (five to six points per square meter). The new LiDAR systems enable numerous applications in coastal and aquatic ecosystems, including floodplain mapping, fisheries management, marine resource and coral reef ecosystem management, storm surge modeling, and storm damage assessment. RIEGL USA is excited to partner with Maser Consulting in this endeavor as this exciting new business opportunity will complete Maser Consulting's high resolution 3D data acquisition services. Keeping on the leading edge of technology will enable Maser Consulting to continue to introduce new types of projects to mobile mapping services, and to offer their clients high-quality, innovative, and cost effective mapping solutions. 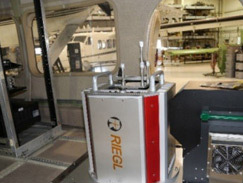 RIEGL USA has started off 2013 with a bang by completing its first VMX-450 sale within the first quarter of the year. EMC, Inc. is expanding their line of RIEGL products with this addition of the mobile mapping system to their already established terrestrial and marine LIDAR scanning services. The RIEGL VMX-450 was chosen by EMC, Inc. for its high collection speeds with the highest measurement accuracy and the most comprehensive workflow in the industry. EMC will utilize their RIEGL VMX-450 for survey and mapping of highways, railways, bridges, and for volumetric surveys. The system is also going to be used for as-built surveying, road and bridge modeling and any civil engineering projects where clients need fast and reliable data.